Today, I’m sharing three cards that made with lots of jars! I made these cards with patterned papers from American Crafts. So, this is the first card. All jars are cut from the patterned paper with scissors. All patterned paper is from American crafts. Do you have any favorite stamps of the poinsettia? Mine is this one from Papertrey ink (again!). This is a card with it. I die cut ‘merry’ and I stamped the sentiment ‘WISHING YOU A VERY (merry) christmas AND A HAPPY NEW YEAR’ from Hero Arts. 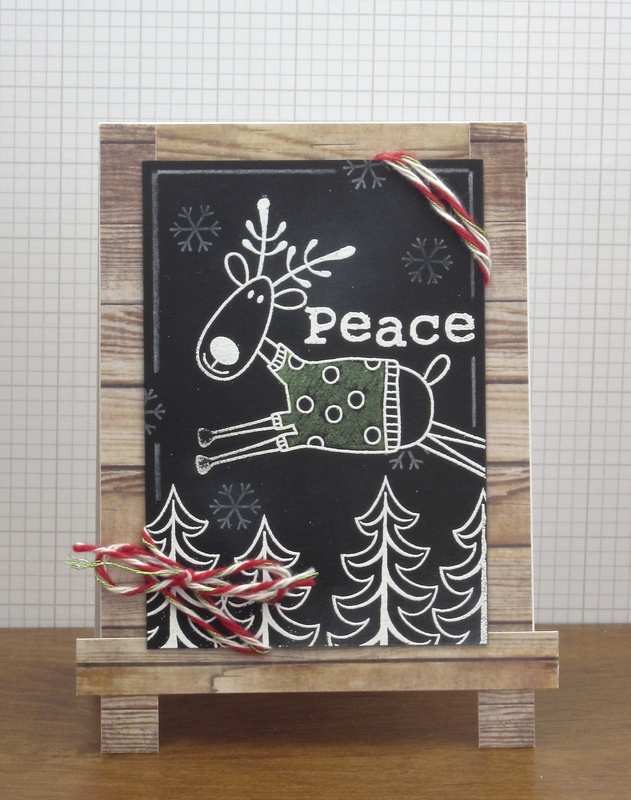 Today, I’m sharing cards made with the chalkboard technique. This is my very first try. The stamps that I used for them are from Hero Arts. The ‘JOY’ flag is something that I cut out from a patterned paper from Recollections. I colored the stars with a colored pencil. For the snowflakes, I stamped them with Fresh Snow ink(Papertrey ink). I applied Fresh Snow Ink with a sponge so that it looks like a chalkboard! I made more so I’ll show you sometime. Today I’m posting a first holiday card of the season. took the ‘holiday’ out and stamped it with the poinsettias. and put the ‘holiday’ back and stitched it.